Blimey it’s been a while since I last blogged – we’ve been pretty busy since our holiday and I just don’t seem to have found time! So I’m playing catch up here. 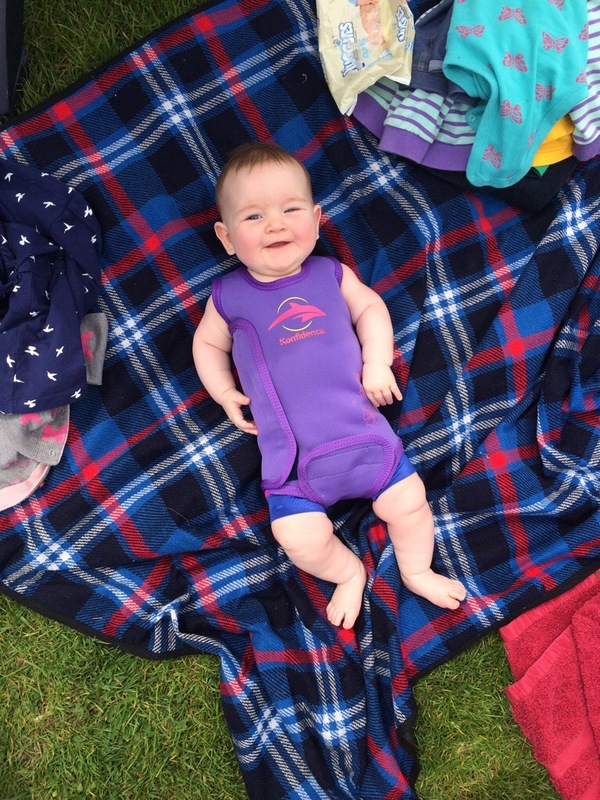 It was on our way home from our holiday in Sherwood Pines that we decided to make the most of the sunny weather and stop off at one of our favourite sunny day trips – Hathersage Swimming Pool. Nestled away in the Peak District, and handily located off the Snake Pass which runs between Sheffield and Manchester, Hathersage pool is a 1930s heated outdoor pool that makes a fabulous spot to visit. We’ve been quite a few times with G when she was growing up, so it was a great place to take C for only her second ever swimming trip. Before swimming, however, came lunch. And our favourite option in the area is the nearby David Mellor Cutlery Museum. Yep, you read that right, a cutlery museum. Technically I think it’s the David Mellor Visitor Centre and Design Museum, but ‘cutlery museum’ is a bit more attention grabbing, in a ‘what did you say’ way, don’t you think? I have to be honest here, I’ve never looked round the museum, I just go for the yummy food in the cafe, and a browse around the too-tempting fancy kitchen shop. 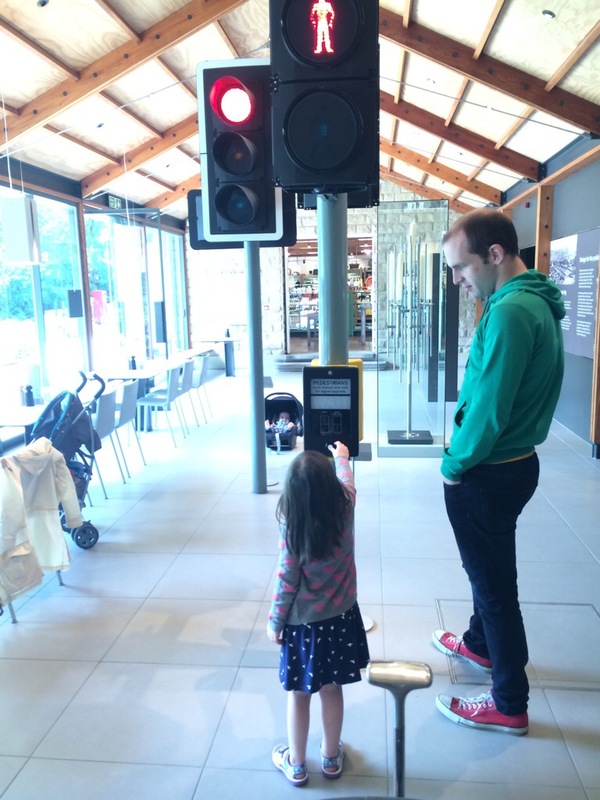 From the cafe I have learnt, however, that alongside cutlery David Mellor is responsible for the humble yet ubiquitous traffic light, as there’s one in the middle of the cafe where G still delights in pressing the crossing button over and over again. Apparently his achievements included recognising that you need less electricity to run traffic lights at night when it’s dark, as they don’t need to shine as brightly. It’s one of those things that makes total sense when someone says it, but you would probably never have thought of yourself. So lunch it was, before we headed back to the pool for the afternoon swimming session. On a sunny weekend you have to get there well in advance to join the queue that snakes down through the car park, but being a Friday it wasn’t too bad. We were soon up the stairs and in, ready to nab a coveted table on the grassy section between the changing rooms and the pool. Despite only having been swimming once before I think C has the makings of a bit of a water baby. She watches her sister’s swimming lessons intently every week,and loves bath time, so I really need to sign up for some baby lessons for her. 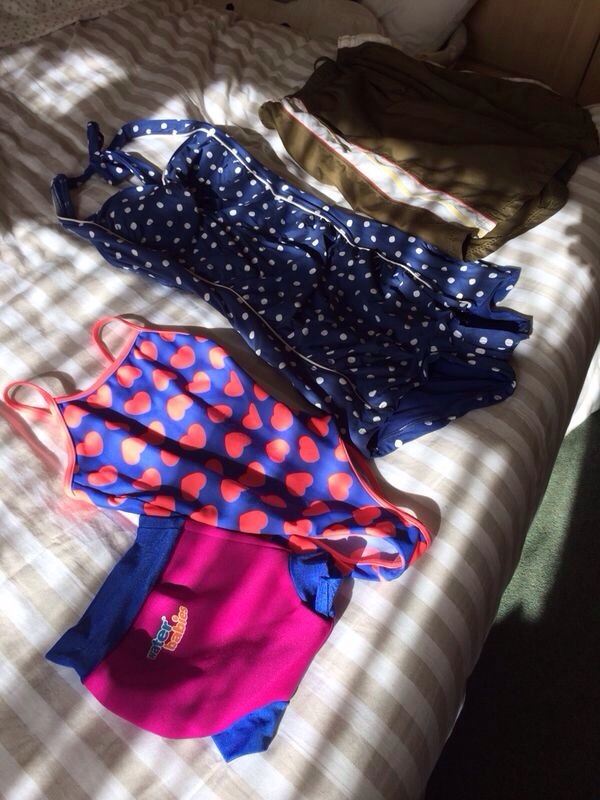 As it is we remembered enough of the baby swimming lessons that we did with G to play a few games, sing a few songs and brave a quick go at underwater swimming (babies have a dive reflex meaning they hold their breath when submerged). It wasn’t long before she’d had enough though, and I got to soak up the atmosphere from the side as G splashed and swam with Daddy. Until of course G remembered the promise of post swimming ice cream from the pool cafe! We were grateful for having made the stop off as we crawled our way back to Manchester through heavy traffic. But it was a lovely end to a lovely holiday, and a place we’ll hopefully be visiting more often through the summer months.